On the surface, video-game stocks should be the top performers in the market. Once the exclusive domain of socially-challenged nerds, video games have become a pop-culture phenomenon. Unfortunately, this powerful tailwind hasn’t produced good results recently for Take-Two Interactive Software (NASDAQ:TTWO). Since October, the TTWO stock price has dropped over 23%. TTWO isn’t the only video-game stock that’s underperforming. Its main rivals, Electronic Arts (NASDAQ:EA) and Activision Blizzard (NASDAQ:ATVI), have also stunk up the markets. Since October, EA stock has given up nearly 26%, while ATVI has cratered a disturbing 44%. Both companies feature popular game franchises to which consumers are hooked. So what explains the erosion of TTWO stock and the shares of its competitors? One easy answer is unexpected competition. For example, last year’s big revelation was Epic Games’ Fortnite. Featuring the tried-and-true first-person shooter format combined with a “battle royale” mode, Fortnite catapulted to the top of the video-game charts. It also doesn’t hurt that the game is free to download. And thanks to the game’s addictive nature, the majority of Fortnite players have opened their wallets for in-game purchases. The phenomenon caught many gaming manufacturers flat-footed. After feeling a great deal of pressure from Fortnite, some companies began investing in their own battle-royale-style games. Another explanation for the sector’s disappointments is the bearishness of the stock market. With little incentive to expose themselves to risk, investors understandably ran for cover. Because names like TTWO stock are vulnerable to shifting consumer habits, they did not provide a safe haven to risk-adverse buyers. But for the gaming industry, what separates the wheat from the chaff is content. In that area, TTWO stock has a significant advantage. In my opinion, Fornite freaked out the gaming industry because it went against the grain. Since Fortnite isn’t a big-budget title, its creators had to come up with a unique angle. Their battle-royale mode fit the bill. On the other hand, the big spenders like TTWO don’t have to resort to gimmicks and hope one of them sticks. Instead, their power lies with their vast resources and their ability to create games that rival Hollywood blockbusters in both popularity and production value. That’s one of the reasons why I don’t think it’s wise for established gaming companies to emulate Fortnite. A feature like battle royale can be implemented by almost anyone. But not everyone can make compelling titles that draw consumers to retail outlets. As InvestorPlace feature writer James Brumley stated, Take-Two’s flagship franchises, Red Dead Redemption and Grand Theft Auto, have captivated gamers across generations. While I’m personally not that enthusiastic about either franchise, I can see that high-quality content has driven the success of both franchises. Specifically, TTWO has carefully cultivated a winning formula: an engrossing storyline, an immersive environment, and a reason for playing. Once you’ve entered the worlds of those games, you can’t escape until you reach the end of them. This is not just a subjective observation. According to a recent industry survey, most gamers reported that Fortnite did not cut into the time they spent on other games. That tells me that the high-spending companies’ biggest advantage is their Hollywood-esque content. It would be a mistake for them to abandon it. With its release of Red Dead Redemption 2 and the game’s subsequent success, TTWO is moving in the right direction. Management has no reason to do anything different. As a result, I’m confident that the TTWO stock price will eventually rise. 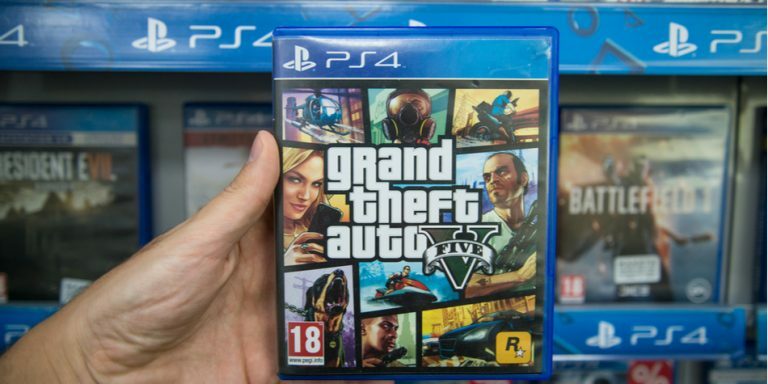 Despite Take-Two’s fundamental advantages, I think its intermediate-term outlook is tough. Unfortunately, stocks are facing major challenges, including geopolitical tensions that could badly undermine investor sentiment. Not only that, but there is seemingly no end in sight to the government shutdown. That said, if you have the patience, video game stocks have significant longer-term potential, especially given their current low valuations. And within this sector, TTWO stock will benefit from flying under the radar. Rival Electronic Arts shot itself in the foot prior to the anticipated release of Battlefield V. Blatantly angering its fans, EA appeared to be unacceptably arrogant. EA continued in the same vein following the bug-filled release of the game. Therefore, it’s no surprise that Battlefield V tanked. Meanwhile, Activision also had a tumultuous 2018. Part of its volatility was due to Fortnite. While the upstart game didn’t significantly impact most competing titles, it did hurt Activision’s Call of Duty franchise. But TTWO’s advantage is that neither one of its flagship franchises is a first-person shooter game. Instead, they rely on compelling narratives, a strategy that TTWO has perfected. Article printed from InvestorPlace Media, https://investorplace.com/2019/01/strong-content-will-likely-power-up-take-two-stock/.